Now with the explosive success of STAR WARS, Lucas finds himself on top of Hollywood with the most popular and successful film of all time. Hollywood hadn’t seen anything this successful since Gone with the Wind from 1939. STAR WARS breathed life into the film industry and everyone’s imagination. Lucas now had virtually unlimited funds and freedom for his future projects. His intentions with SPLINTER OF THE MIND’S EYE now left to remain a novel and moving forward with EMPIRE STRIKES BACK Lucas expressed his interest into making the series into a full franchise. It would be a loosely connected serial with every installment focusing on different characters, stories and timelines with the sequel consisting of the early days of Obi-Wan Kenobi and the possibility of the formation of the Jedi Order. In and interview with Mark Hamill he mentions this as well as returning as an older Luke Skywalker passed his original three film contract. Later in 1978 while Lucas and Leigh Brackett are writing the story and script for Episode II known as EMPIRE STRIKES BACK, Lucas publicly reveals for the first time that the entire story is to be a total of twelve films with a projected 2001 completion date. At this time Lucas had no future story ideas completed beyond what was written for EMPIRE STRIKES BACK. 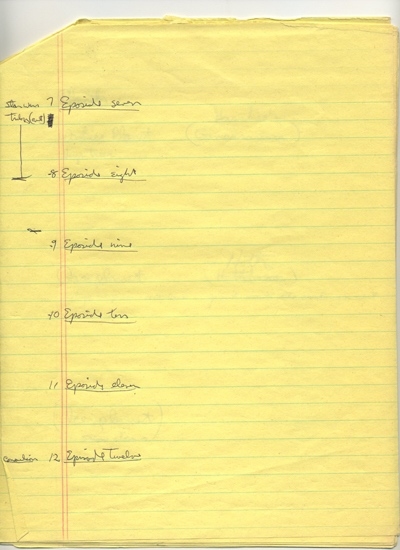 After Brackett’s death Lucas revises the script and later titles it Episode V.
This is where the story starts to get a little crazy with Lucas. 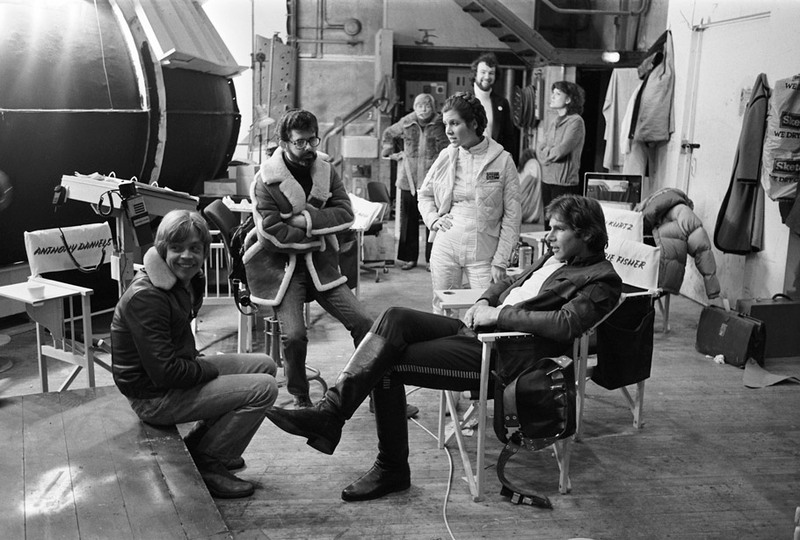 During filming for EMPIRE STRIKES BACK Lucas began talking to Alan Arnold (the Unit Publicist for the film) and told him that the films would be three trilogies totaling nine films. Completely eliminating the last three films out of the original twelve. The first trilogy would be about young Obi-Wan Kenobi, Luke’s father referred to as “Father Skywalker” and the fall of the Republic where Skywalker becomes Vader. The Second Trilogy would Follow the Story of Luke and his revolt against the Empire. The last trilogy Lucas was more tight-lipped about but he says that there will be twenty years between each trilogy, making the whole series span fifty years, and each trilogy would feature different actors. “The first script was one of six original stories I had written in the form of two trilogies. After the success of STAR WARS I added another trilogy. So now there are nine stories. 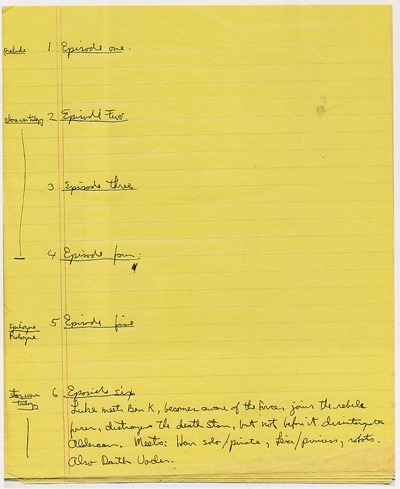 The original two trilogies were conceived of as six films of which the first film was number four.” – Lucas in 1979. Next installment will delve deeper into the history and what the “tight-lipped” details Lucas had in store for the future of STAR WARS!